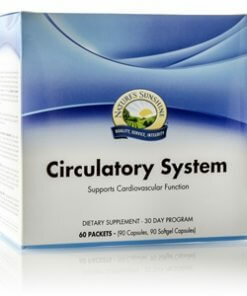 Nature’s Sunshine Circulatory System Pack is a 30 day program formulated to support proper circulation and to help protect and nourish the cardiovascular system. Ginkgo biloba helps increase circulation and has antioxidant properties that support cardiovascular health. Hawthorn berries support the health and function of the heart muscle. Our soft gels contain a unique, patent-pending lipid tri-blend that prevents Co-Q10 from crystallizing, thereby greatly enhancing the bioavailability and absorption of this vital nutrient. Co-Q10 helps protect cardiac cells and may help maintain blood pressure levels already within the normal range. 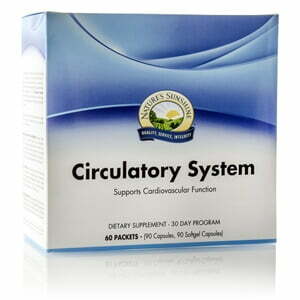 Provides essential fatty acids that are good for heart health.